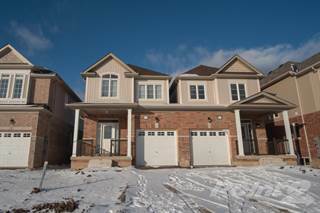 Houses for rent in Chatham - Kent, ON are easy to filter and browse through on Point2 Homes. 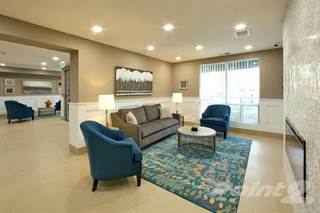 Whether you’re looking for apartments for rent, furnished apartments, condos, single family homes, studio apartments, townhouses or any other rentals, you can get a list of properties based on your needs with just a few clicks. 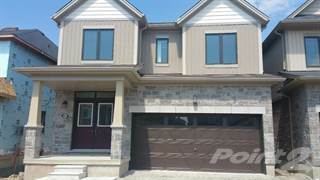 Rental homes in Chatham - Kent, ON on Point2 Homes are displayed with important additional information, such as property type, square footage and amenities, and the name and contact information of the real estate agent handling the property. You can also learn whether there have been significant price drops in the rent during the last 6 months. Whether you’re looking for rental apartments or generally homes for rent in Chatham - Kent, ON, on Point2 Homes you can tell whether you’re close to the amenities you need at a glance, by using the map view. And if you know exactly where you want your apartment to be in Chatham - Kent, ON, you can simply use the polygon or radius tools to draw around the area you’re interested in, and Point2 Homes will instantly show you all the rental homes there. 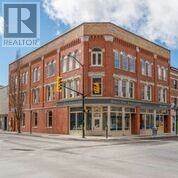 How much is rent in Chatham - Kent, ON? There are two ways in which you can find apartments for rent based on price on Point2 Homes: you can either set the minimum and maximum price range yourself, or you can simply sort all the available houses for rent based on price, if you want to browse a wider range of rental homes. Once you’ve found a rental you’re interested in, all you have to do to get in touch with the listing agent is check the listing detail page – all the contact information you need will be there. If you’d rather start with expert advice, getting in touch with professional agents in Chatham - Kent, ON is very simple on Point2 Homes. Simply go to Tools in the menu and find an agent. 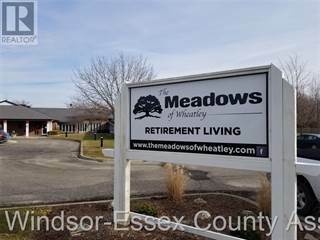 You get a list of featured agents in Chatham - Kent, ON, all knowledgeable and eager to help. Situated between Lake St. Clair and Lake Erie in the southeastern portion of the province is Chatham-Kent, with a population of over 103,000. The city covers over 2,458 square kilometres and is located near the communities of Sarnia, London, St. Thomas, and Leamington. The Thames River runs through the city and it, together with the two nearby lakes, makes for picturesque views.The city’s proximity to the Canada/United States border provides easy access to American cities such as Detroit and Ann Arbor (Michigan). Housing prices in Chatham-Kent are very affordable, with averages ranging from $140,000 to $280,000. The northern section of the city offers a mix of affordable older and newer single-family homes, as well as retail and industrial commercial space. Chatham-Kent’s central section has mostly older single-family homes and some condo options close to the city centre, with some newer builds along the city’s edge. This section also offers plenty of commercial space to choose from (industrial and retail), and some vacant lots. Larger, newer-built single-family homes can be found in the southern section, along with industrial commercial space and vacant lots. Chatham-Kent’s vacancy rate has remained fairly steady over the past few years, sitting between 5% and 6%.Apartments with three or more bedrooms tend to have the lowest vacancy rates in the city. Average rent costs in the city are around $500 for a bachelor apartment, $650 for a one-bedroom apartment, $760 for a two-bedroom apartment, and $720 for a three-bedroom (or more) apartment. The overall average rent in Chatham-Kent is about $700. Rent costs have gone up slightly for one-bedroom and two-bedroom apartments, and down slightly for bachelor and three-bedroom apartments. Rental townhouses tend to cost slightly less per month than units in traditional apartment buildings. Chatham-Kent’s largest industries are agribusiness and chemical, automotive, energy, public services, and retail.Two large companies with agribusiness/chemical operations in the city are Pioneer Hi-Bred Limited (seed breeding and biotechnology), which is a division of DuPont, and GreenField Specialty Alcohols Inc. (plant producing ethanol for beverage, medical, and industrial use). Automotive plants just outside of the city include Mahle (emissions controls and plastics) and AutoLiv Canada (airbags). RM Auctions and RM Restorations (the world’s largest auction house and restoration company, respectively, for vintage cars) also operate in the area. Other large employers include Union Gas, Spectra Energy, and the federal government. CK Transit operates public bus transportation in the city. There are four routes within the city, as well as three routes connecting Chatham-Kent with nearby communities such as Wallaceburg, Dresden, Blenheim, Ridgetown, Tilbury, and Merlin. Chatham Specialized Transit Service provides door-to-door service for residents with mobility issues. Residents can also travel via Greyhound (long-distance bus) andVIA Rail (train). These routes provide access to other nearby communities in both Canada and the United States. Three school boards operate primary and secondary schools in Chatham-Kent: the Lambton Kent District School Board, the St. Clair Catholic District School Board, and the Conseil scolaire catholique Providence.Schools in the city include Chatham-Kent Secondary School, Tecumseh Public School, Queen Elizabeth II Public School, Victor Lauriston Public School, Monsignor Uyen Catholic School, John McGregor Secondary School, Winston Churchill Public School, Our Lady of Fatima Catholic School, and Gregory Drive Public School. Private school options are also available. Post-secondary institutions in Chatham-Kent include St. Clair College (a satellite location of St. Clair College of Windsor), offering programs in business, child and youth care, social work, trades, healthcare, and justice; and the University of Guelph’s Ridgetown Campus, with courses in veterinary technology, horticulture, and agriculture. Kingston Park provides plenty of outdoor recreation opportunities with walking trails, playground equipment, treed areas, grassy areas, benches, three covered pavilions, restrooms, and a splash pad featuring water spouts, a water cauldron soaker, and interactive water cannons.The park covers seven hectares and is great for playing, picnicking, or just relaxing. The Milner Heritage House is the former home of a carriage maker and his family, built in 1894 in the Queen Anne style. The house was restored and turned into a museum about 45 years ago, and today visitors can enjoy hearing stories from costumed guides about life in the early 1900s. Various artifacts can be found throughout the house, including artwork created by the carriage maker’s wife. 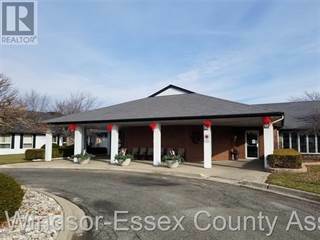 Read more about living in Chatham-Kent, ON.